I was witness as a little girl to the Beatle's invasion of America. Thank you God for my being born at that time. I often wonder what it is like for people who missed the phenomenon. Music was a big part of my formative years. My Parents were both very talented Lindy dancers, so we grew up listening to Benny Goodman, Louis Armstrong, and of course, Frank. On many a magical Saturday evening I watched my Parents gliding out to their dance, my Mother’s Emeraude lingering ever so gently. She says I sang before I spoke. Standing in the crib singing along with the radio. When I started to pursue a singing career as a young lady, I first gravitated to those songs popular when I was a kid. Oh, how I wanted to be invaded by the British. Through the years I sang different genres of music. Country, Folk, Pop and Rock. I even had the good fortune to work with the late, great Richie Havens. My first professional singing gig was in Japan, where Jazz is King, Queen, Mistress and Master. I grew a fondness for those American Standards that I also grew up with. I woodshedded (a music term for concentrated practice), for 10 years in Japanese piano bars in NYC, learning those standards. Eventually I did some Cabaret with a trio and the love affair blossomed all over again for a while. In 2010 it was back to the 60s when I teamed up with some other 60s heads. We played lots of underplayed songs from that era. Moby Grape, The Zombies, Lulu, The Ronettes, and of course, the Fab 4. You name it, we covered it. Side B, a.k.a Twist And Shout played regularly for 6 years. It was a wonderful ride. So now I 'm back to the Standards. For the CD Moonglow, I picked songs that are not over-played. I mean, how many times can you sing, “Birds do it, bees do it, even educated fleas do it.” Don’t get me wrong, I love Cole Porter, but there are some songs that are requested so often…. These are not those songs. All About Jazz musician pages are maintained by musicians, publicists and trusted members like you. Interested? 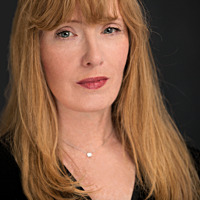 Tell us why you would like to improve the Pam Brennan musician page.